We put the Beldray 2-in-1 Snack Maker to the test! The first thing you notice about this snack maker is the sleek stainless-steel finish and overall sturdiness, it’s sure to look good on your kitchen counter. 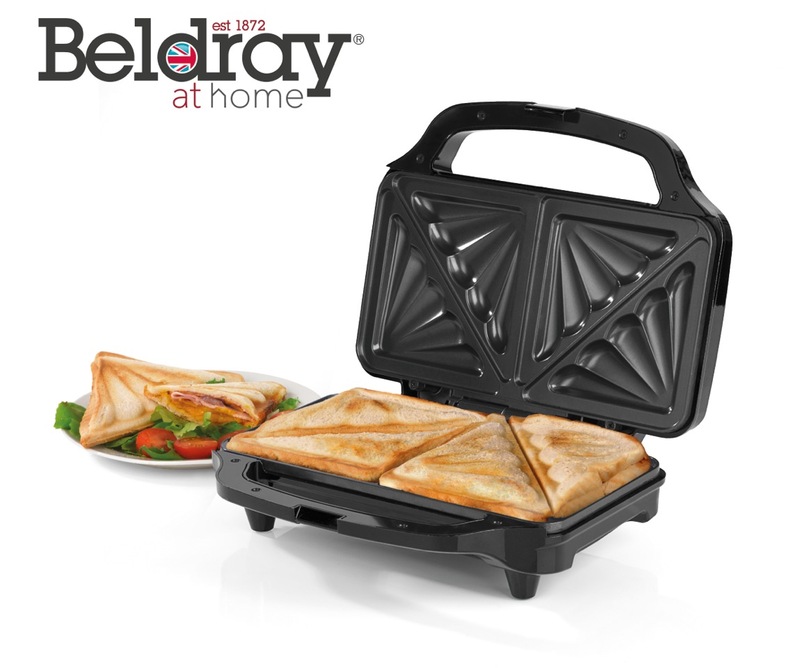 The large plates allow you to make 60% larger toasties and waffles, ideal for a more substantial snack – perfect if there are hungry teenagers looking for a snack in a hurry! The plates are easily interchangeable and not a chore to clean, due to the non-stick coating. For waffles, whip up a basic batter mix, pour evenly onto the waffle plates and let the Beldray do its magic! A few minutes later you have mouth-watering thick waffles for breakfast or a snack for when hunger strikes! Again, the plates are non-stick and easy to clean after use. Incredibly simple to use, the ready indicator light displays when it is ready and it has a cool touch handle to protect your hands. If you’ve a teen who’s heading off to university, they’ll be thrilled to find a Beldray-2-in1 Snack Maker packed in their suitcase for when they want to whip up a tasty snack or breakfast with little effort in record time! Available from Amazon, from £34.99.